Words seem to be insufficient to describe the performances of a man possessed by the burning desire to prove all his doubters and critics wrong. Coming off the back to a controversial 10-match ban for taking a liking to the taste of Branislav Ivanovic's hand in last season's game against Chelsea, Suarez was forced to miss the first five games of the Premier League this season. Since then, however, he has not looked back. With 19 goals in 12 Premier League appearances already, he is on his way to his most prolific season in the English north-west. He is tied with Diego Costa for the European Golden Shoe, and given the form he is currently in, it seems just a matter of time before he pulls away from the Atletico Madrid man. Suarez has scored his goals from all sorts of areas- inside the six-yard box, near the penalty spot, edge of the box, even from 40-yards out- making him nigh impossible to mark. His shooting accuracy has improved dramatically compared to last season- he has hit the target 66% of the time in 64 attempts this season compared to 54% of the time in 143 attempts last season. Not only is he hitting the target more often, but he's finding the back of the net more frequently as well. Following the injuries to Daniel Sturridge and Steven Gerrard, Suarez has taken on the mantle of both the scorer as well as the creator-in chief, masking the absence of both the star players of the team. He has created 38 chances in his 12 appearances, including 5 assists (according to Squawka) or 9 assists (according to TransfrMarkt), whichever you choose to believe. The two things that have come to the fore in the last couple of games, where he has been handed the armband in the absence of Gerrard and club vice-captain Daniel Agger, are the willingness to take responsiblity for the team and the inclination to guide the young players in the team. 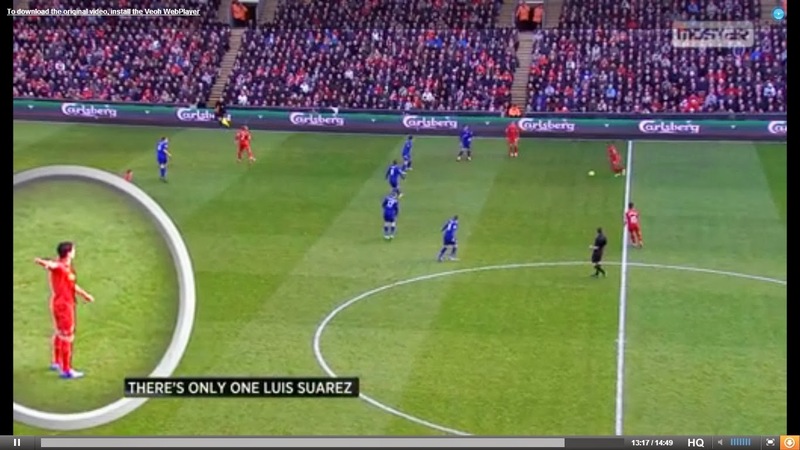 He passed the ball for Sterling to score against Cardiff City, when it seemed easier to score. His celebration, and the embrace with Sterling showed that he is really enjoying his football at Anfield. 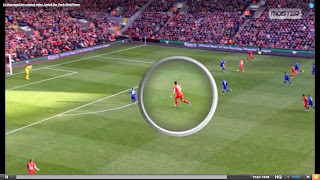 One of the brilliant things that was picked up during the post match analysis, was the way Suarez guided young fullback Jon Flanagan during one of Liverpool's numerous forays in to the Cardiff half. 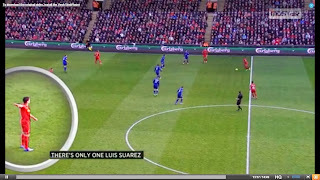 Initially when ball was being taken forward by Glenn Johnson near the half-way line on the right side, Suarez was seen gesturing to Flanagan to stay wide, and later as the ball was about to be delivered, he urged Flanagan to get into the box at the far post. 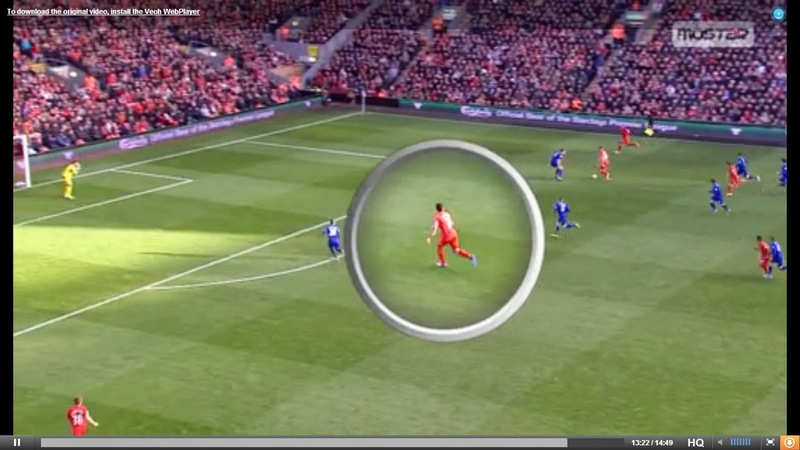 The ball ultimately reached Flanagan, and his shot was cleared off the line. Despite all this, he was humble enough to pass on the armband to Agger when he came on late in the second half. The way Suarez is leading this Liverpool side, the Premier League title doesn't seem impossible at this point of time, especially when Liverpool could very well head into Christmas at the top of the table if Arsenal fail to win against Chelsea later today. Just to put things into perspective, the last four title winners were also all top of the tree heading into the festive period. Having signed a new long-term contract, Suarez has seemingly ended the speculation that seemed to have continued from the failed summer move away from Anfield. With his head in the game, and him enjoying his time at Liverpool, its about time the fans just relaxed and enjoyed the spectacular shows being conjured by their Uruguayan magician, leaving fans and pundits alike... lost for words!! !